As of January 2018, Vista was still Carnival's largest and newest cruise ship (debuted in 2016). However, during April 2018, the brand new Carnival Horizon was introduced. I always enjoy smoking cigars during a cruise, even though cigar bars inside of most ships are now a thing of the past. Although cigar smoking is not permitted anywhere inside the Carnival Vista, nor on stateroom balconies, at least this ship offers a couple of outside locations where cigar smoking is permitted. 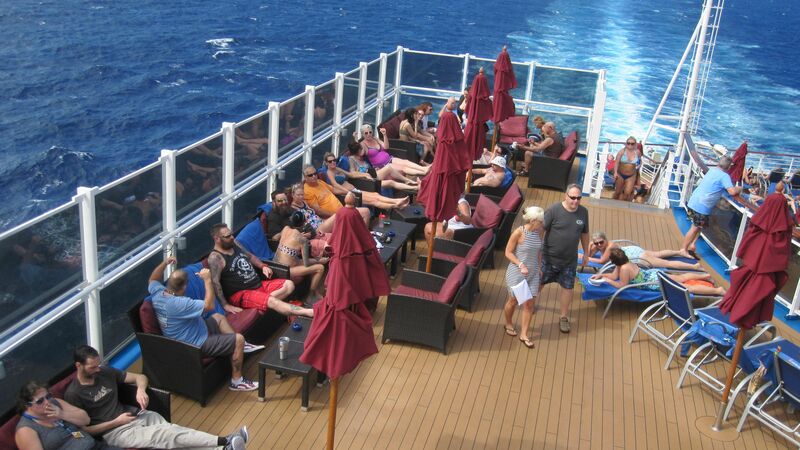 The more popular area for all smokers is on the starboard side of the 11th deck at the aft of the ship. However, this particular location is not covered, so there is no protection from the sun and rain, and only limited protection from wind. Therefore, this spot is more popular with cigarette smokers than cigar smokers. 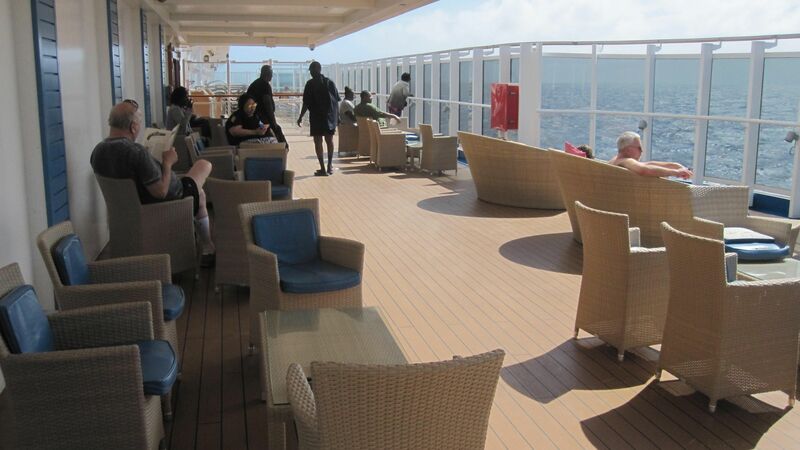 A second outdoor smoking area which is favored by cigar smokers is the lanai on the starboard side of the fifth deck, near the front of the ship. This area is covered, but wind can still be a factor depending on existing conditions. Cigarette smokers also utilize this area, but they can also smoke inside of the ship's casino. Again, cigar smokers are not permitted to smoke anywhere inside of the ship, including the casino. I did not see any cigar humidors at the bars onboard, but tobacco products are still sold in one of the ship's gift shops. Regardless, it is best to bring your own cigars, or legally purchase Cuban cigars while visiting ports of call that are not U.S. territories. Smoking policies on cruise ships can change often. If cigar smoking is important to you, then make sure to check with your travel agent to avoid disappointment before booking any cruise. Click for smoking areas on all Carnival Ships.